(Plantagenets) Henry II (“Curtmantle”) was the first king of the House of Plantagenets. He was the great-grandson of William the Conqueror and was the Count of Anjou, among other titles. He was married to Eleanor of Aquitaine, who encouraged their children to rebel against the King. 1189 Richard I (Plantagenets) Richard I was known as “Richard the Lionheart” because he was a great warrior and leader. He was also known as “oc e no” or “yes and no” because he was volatile. He is an iconic King of England, known for his role in the Crusades and for his piety. He was son of Henry II. 1199 John (Plantagenets) John was the younger brother of Richard I and the youngest son of Henry II. He was known as “Soft Sword”, due to his lack of military skills, and “Lackland” because he had not inherited any land from his father. John is known for sealing the Magna Carta. Legend has King John as the enemy of Robin Hood. 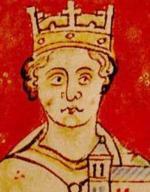 (Plantagenets) Henry III was the son of King John and was known as Henry of Winchester. 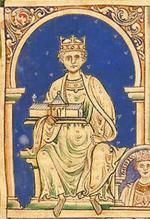 Henry III is known for being the first child king since Æthelred the Unready and for making Wetsminster his seat of government. (Plantagenets) Edward I (Edward Longshanks) was the son of Henry III. His height and temperament made his contemporaries fearful of him and he is known for establishing parliament as a permanent institution and for his cruel behaviour towards the Scots and Jews. 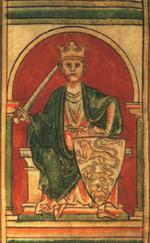 (Plantagenets) Edward II or Edward of Carnarvon, was the son of Edward I and was rumoured to be homosexual. His reign was disastrous as the King did not seem to be interested in ruling the country properly. Edward II is known for the defeat of the English by the Scots at the Battle of Bannockburn. He was found incompetent and forced to abdicate in favour of his son. He was later murdered. (Plantagenets) Edward III took over as King of England when his father abdicated in 1327 and, in contrast to his father, is known as the one of the most successful monarchs of England’s Middle Ages. His achievements included legislation like the 1351 Statute of Labourers, the Statutes of Provisors and Praemunire, the Treason Act of 1351, and the development of the existing Parliament. Edward III also created the Order of the Garter. (Plantagenets) Richard II was the grandson of Edward III and son of Edward the Black Prince. Both his older brother and father died before his grandfather, leaving him heir to the throne. He was only 10 when he became King so his uncle, John of Gaunt, was regent. He is thought to have suffered from mental disorders and, after some tyranny, was deposed by John of Gaunt’s son, Henry of Bolingbroke, who became Henry IV in 1399. Richard died mysteriously in prison.